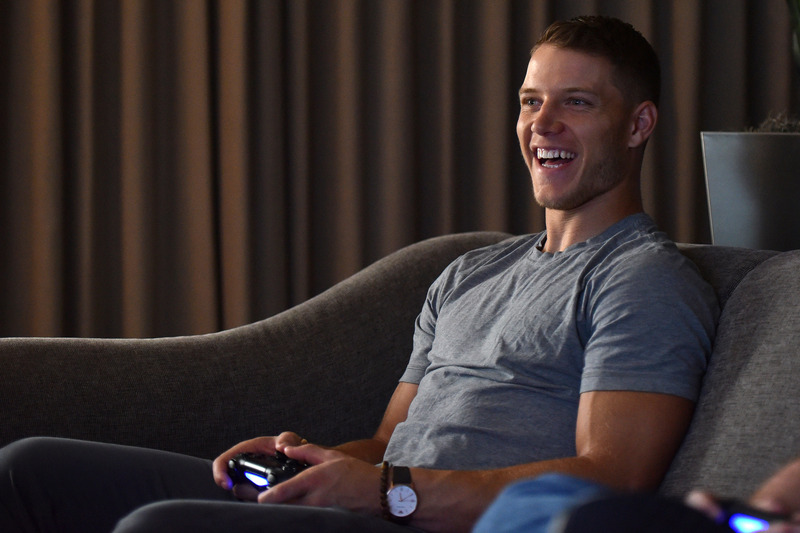 Panthers rookie running back Christian McCaffrey discusses his transition to the NFL, his family influences and his love for gaming and Call of Duty. Football has been a big part of the McCaffrey family for years and years, and they already had one member of the four McCaffrey brothers in the NFL before the 2017 season started. However, the NFL is a whole new world for Carolina Panthers running back Christian McCaffrey, and the rookie is living out his dream of playing football at its highest level. McCaffrey, the second-oldest of the four McCaffrey siblings, has heard stories from his older brother Max, a wide receiver in his second stint with the Green Bay Packers practice squad. He’s also surely heard from his dad, Ed, who was notably successful at Stanford and in the NFL, with three Super Bowl wins to his name. 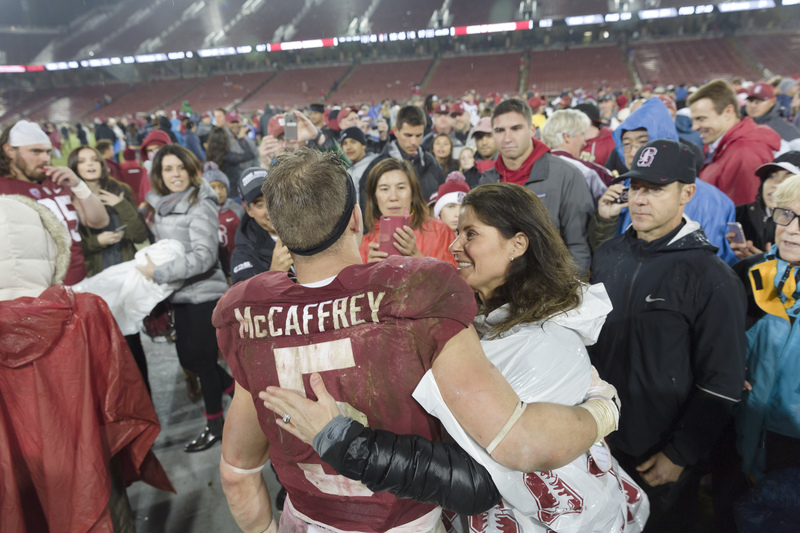 One name, however, who McCaffrey was quick to bring up when talking about his family was his mother, Lisa. The daughter of Olympic sprinter Dave Sime, Lisa McCaffrey met Ed when they were both attending Stanford, and the two managed to have four football players for sons, all pursuing potential NFL careers like their father did. Now, McCaffrey’s trying to make a name for himself on his new journey in the Panthers backfield after his own successful tenure at Stanford. McCaffrey achieved a ton in his three years at Stanford, setting a record for all-purpose yards — previously held by Barry Sanders — when he reached 3,864 yards in 2015. After such a successful college career, McCaffrey now has to learn how to translate his game to the NFL style, and he said he isn’t worried about the transition. 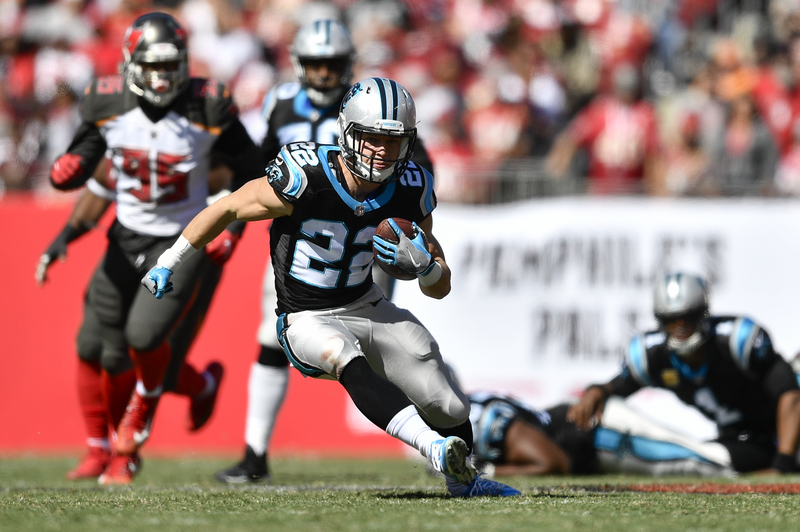 McCaffrey’s NFL career may not have started exactly as expected, with 117 rushing yards on 49 attempts and 378 receiving yards on 49 catches in his first eight games of his rookie season. The running back has a lot of eyes staring at him, and reportedly had an entire package of plays designed specifically for him in the Panthers offense. Even McCaffrey has high expectations of himself, and he admitted that one of the struggles he’s hoping to improve upon is to avoid forcing things when the ball is in his hands. McCaffrey definitely has the tools on the practice field to transition his style quickly, with the Panthers boasting one of the best linebacker groups the NFL has to offer. However, one of the more unique players that McCaffrey gets to stand next to in the backfield is Cam Newton. The confident Panthers quarterback was named the league’s MVP in the same season when McCaffrey was making waves at Stanford in 2015, and McCaffrey mentioned how having him around is a unique experience. McCaffrey has a ton of tools around him to use when it comes to gaining more knowledge about the NFL level, but one thing that sticks around, even when he’s with his Panthers teammates, is his family. With his brother Max in the NFL already, a younger brother named Dylan currently a quarterback at Michigan, and his youngest brother Luke playing under center at Valor Christian High School in Colorado, there’s plenty of football talk going around the McCaffrey family. One thing McCaffrey mentioned as a way for him and his brothers to connect was gaming, and specifically playing Call of Duty. McCaffrey hasn’t hidden his passion for the first-person shooter video game, even participating in the beta for the new game, Call of Duty: WWII, in the summer before the game even released. It seems incredibly fitting, with “brotherhood” as one of the main themes being focused on in the new installment in the series, which released on Nov. 3. McCaffrey’s Call of Duty love carries over while he’s with his Panthers teammates, and he didn’t hesitate too much when asked who would be on his dream squad if he needed a win in a big Call of Duty game. 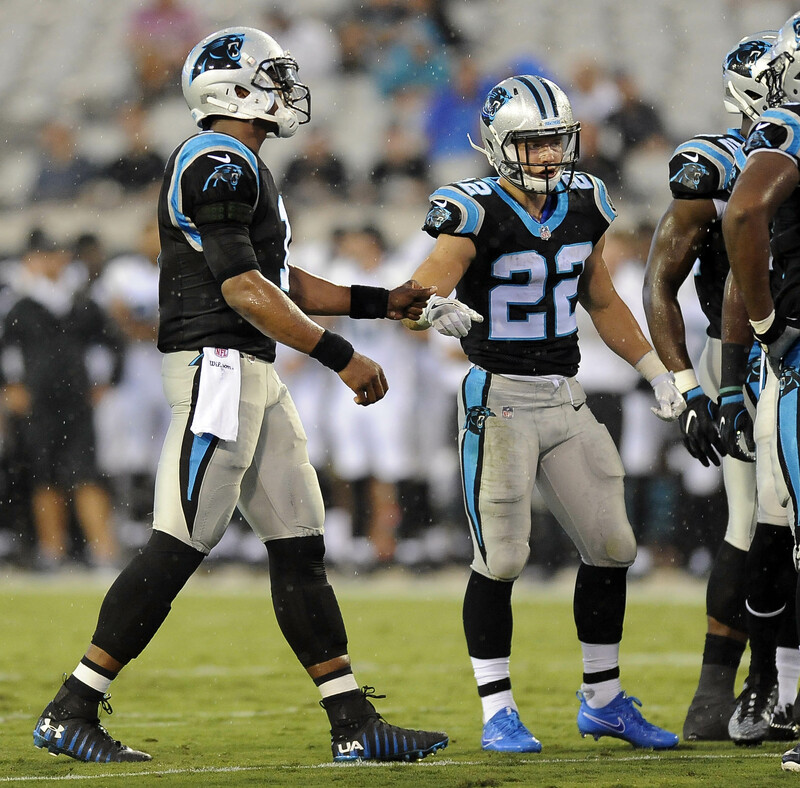 With Devin Funchess and Curtis Samuel by his side, McCaffrey’s team is likely solid. However, the Panthers running back did want one more addition to his team to add a potential morale boost. It’s fitting that a player such as McCaffrey would be so invested in a game like Call of Duty, where teamwork, competition and brotherhood are all key elements. With all of those qualities so vital to success, we can only imagine that McCaffrey is probably a pretty good Call of Duty player.